This board provides bootable storage for PC/XT and PC/AT systems via a CompactFlash card. 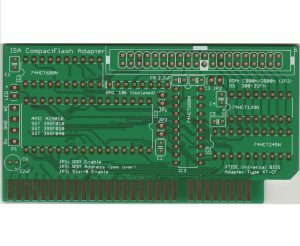 Replace the hard drive in IBM PC, PC/XT and compatibles with a CompactFlash card – see blog entry and wiki page. This revision now provides selectable ROM address for maximum system compatibility. Note: PCB only. UL-marked. ENIG finish with hard gold fingers. 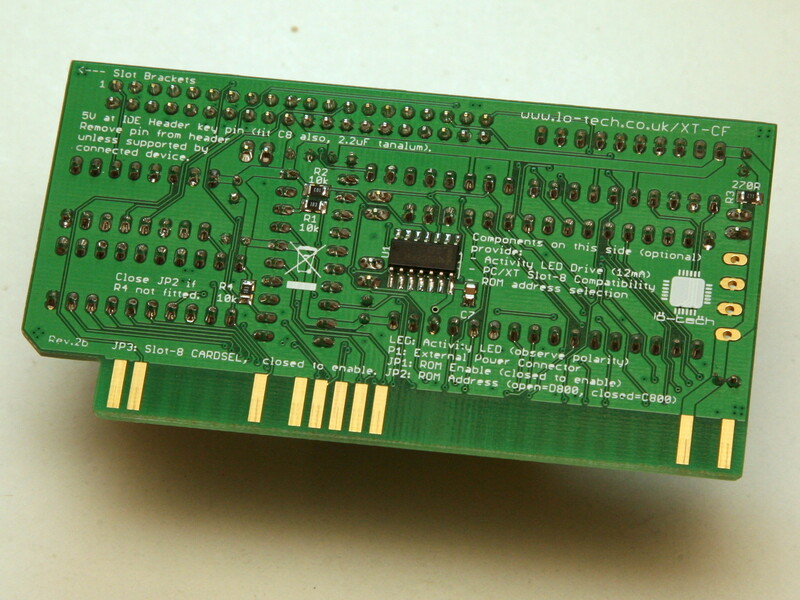 Easy assembly – requires only through-hole components to produce a working board. This product requires the separate purchase of components and home assembly; a soldering iron and solder are needed to assemble the adapter. 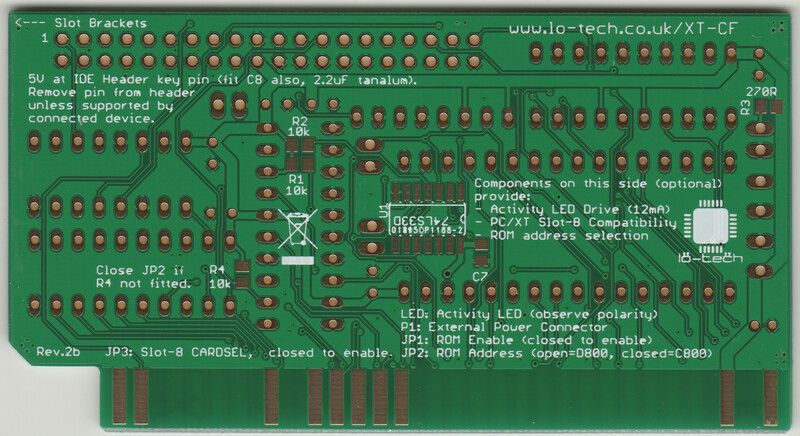 Image of assembled board is provided for reference. Bulk orders (20+ boards) are dispatched panelised and v-cut (boards can be easily broken apart by hand). I’m very happy to finally be able to backup my first machine’s MFM disk and provide the machine with additional data in a very comfortable manner. Thank you! Excellent product. 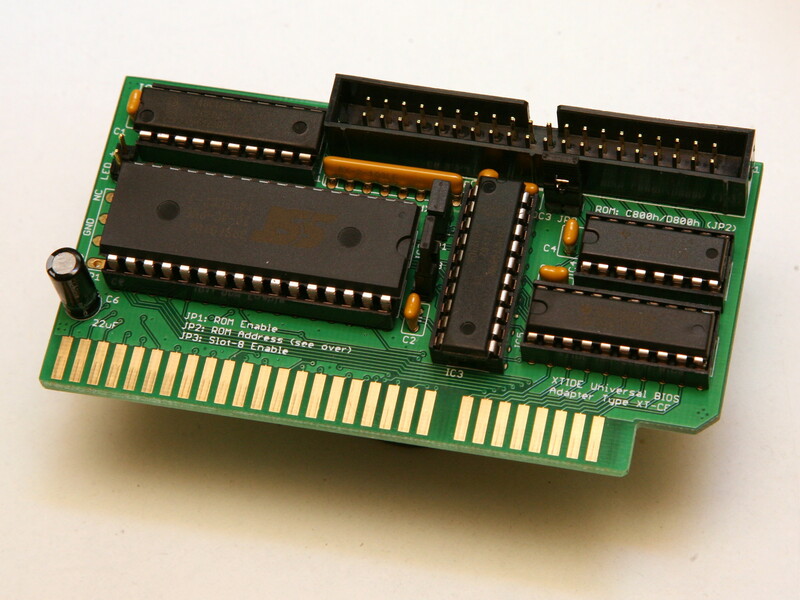 I use these in my collection of 286 IBM ps/2 model 30 and 8086 variations of the model 30. I was able to make these prior to having much soldering skills as the SMD parts are not required. Nice board, fast shipping here in Europe.